October 11, 2019, 11:11am CDT November 11, 2019, 11:59pm CST $31.00 Race Fee + $4.31 SignUp Fee ? November 12, 2019, 12:00am CST December 16, 2019, 11:59pm CST $35.00 Race Fee + $4.31 SignUp Fee ? December 17, 2019, 12:00am CST January 3, 2020, 11:59pm CST $39.00 Race Fee + $4.31 SignUp Fee ? January 4, 2020, 12:00am CST January 5, 2020, 11:59pm CST $43.00 Race Fee + $4.31 SignUp Fee ? October 5, 2019, 12:00am CDT December 16, 2019, 11:59pm CST 12 and under $24.00 Race Fee + $3.98 SignUp Fee ? December 17, 2019, 12:00am CST January 5, 2020, 11:59pm CST 12 and under $28.00 Race Fee + $3.98 SignUp Fee ? 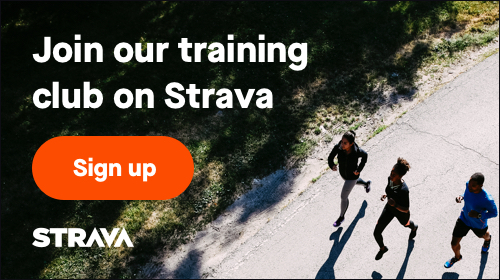 October 25, 2019, 6:41am CDT November 11, 2019, 11:59pm CST $31.00 Race Fee + $4.31 SignUp Fee ? You will not receive a timing chip for this walk. However, all registrants on race day will NOT receive a medal. T-shirt giveaway is subject to registration time. October 25, 2019, 6:41am CDT January 3, 2020, 11:59pm CST $23.00 Race Fee + $3.98 SignUp Fee ? January 4, 2020, 12:00am CST January 5, 2020, 11:59pm CST $27.00 Race Fee + $3.98 SignUp Fee ? If you can't make the race date, you can still run on your own and receive a T-shirt and medal. You or a friend can always pick up your items at packet pickup by letting us know you are running virtually. If you can not make packet pickup, you can arrange to pick up at the designated spot the week after. You may pay to have your items shipped. October 25, 2019, 6:41am CDT January 3, 2020, 11:59pm CST $38.00 Race Fee + $4.31 SignUp Fee ?